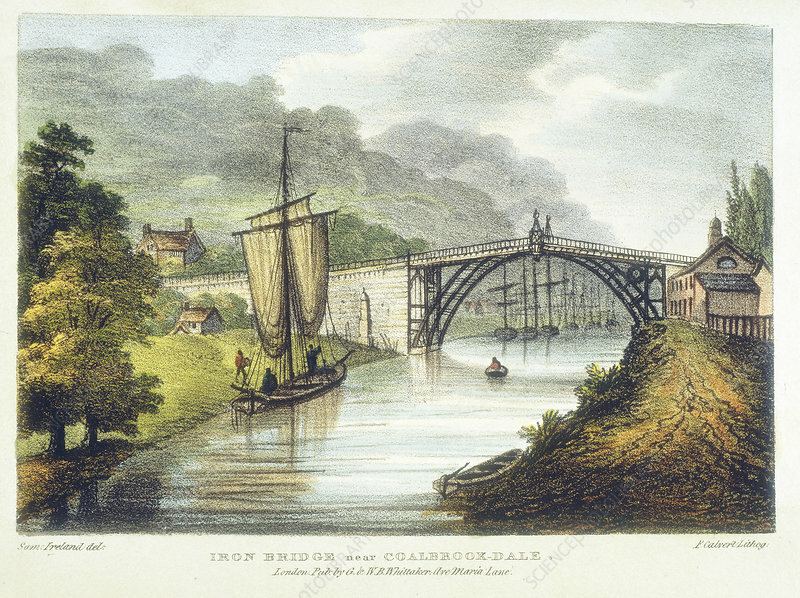 Abraham Darby III's iron bridge across the Severn at Ironbridge, Coalbrookdale, England. First iron bridge in world, built between 1776 and 1779. Lithograph from Samuel Ireland 'Picturesque Views of the River Severn', London, c1795. Artist: Samuel Ireland.